At Money Dashboard we're all for finding new ways to help you save money  and if they help out the environment too that can only be a good thing. Here are a few of the best energy-saving tips that won't cost you a penny. Check you're on the best energy tariff. See all the latest energy prices for your home with our price comparison engine. Turn off your appliances. According to the Energy Saving Trust this could save you between £45 and £80 a year. Turn your shower power down. This will mimic the effect of a water-saving shower head, which can save a house of four around £175 a year on energy bills. Set your washing machine to 30C. Dropping it from 40C could reduce your energy consumption by 40%. Wash up in a bowl. This means you won't need to keep the hot tap running, using unnecessary water and energy. Use your draught excluder. Not only will this keep the heat in, it'll also mean you don't need to turn it up as high in the first place, saving up to £55 a year. Stop charging your phone when the battery's full. Fully charged laptops and mobile phones will still drain electricity, increasing your yearly bills by £60. Only fill the kettle with the water you need. Overfilling costs UK households £68m a year in energy bills, so it pays to watch how much you're pouring. Turn down your thermostat. uSwitch claims that turning down your heating by just 1°C can save as much as £60 a year. Set a timer on your hot water boiler. If you're on an Economy 7 tariff, it's cheaper to heat your hot water at night. Use our free budgeting software to see how much you could save by making the switch. Bin the electric heater. They can cost around £3.50 to run overnight, which adds up through winter. Keep your doors closed. Get everyone in the house on board and you'll trap much more heat in. Use the airer instead of a tumble dryer. Tumble dryers can cost as much as £100 a year to run. Turn off the tap when brushing your teeth. It can save a staggering 17,500 litres of water a year. Make the most of your oven. Use your oven's full capacity where possible, and avoid using the bigger space for small dishes. Keep your fridge and freezer full. A fully stocked fridge or freezer is more efficient, as you won't be cooling down empty spaces. Remove clothes from the dryer before they're done. They'll be quicker to iron and you'll use less energy. Keep the lid on your saucepans. It'll mean using less water and less energy, as your food will cook quicker. Fill your washing machine. Running your washing machine can make up 7% of your household bills, so get the most out of each cycle. Block your chimney. If you never use your fireplace, block it up with plasterboard. Free cavity wall insulation. 90% of homes that need cavity wall insulation can now get it for free. Free solar panels. 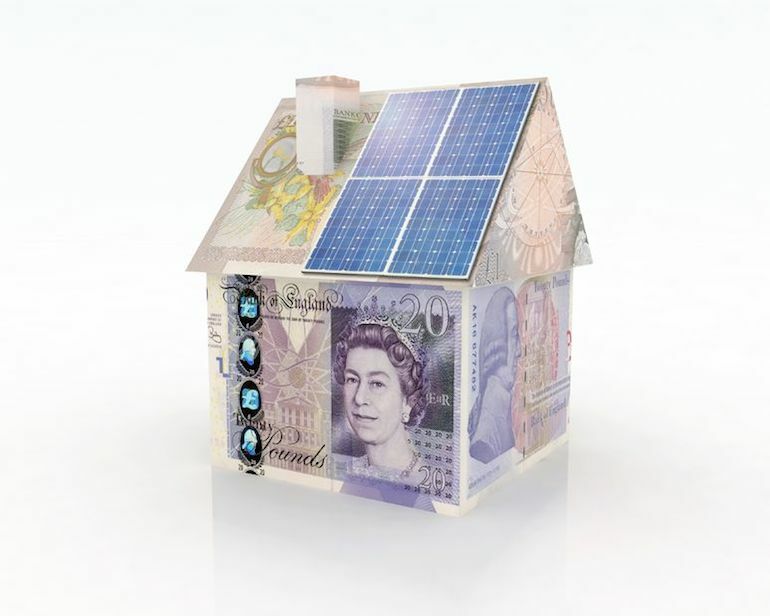 In some parts of England, homeowners with suitable roofs are eligible for free solar panels.